Singapore Exchange Mainboard-listed Addvalue Technologies Ltd (“Addvalue”, together with its subsidiaries, the "Group"), a leading player in the mobile satellite communications industry, announced that it has in collaboration with JSC GTNT (“GTNT”) obtained type approval for the sales of the Thuraya Atlas IP Thuraya Telecommunications Company (“Thuraya”) terminal in Russia. 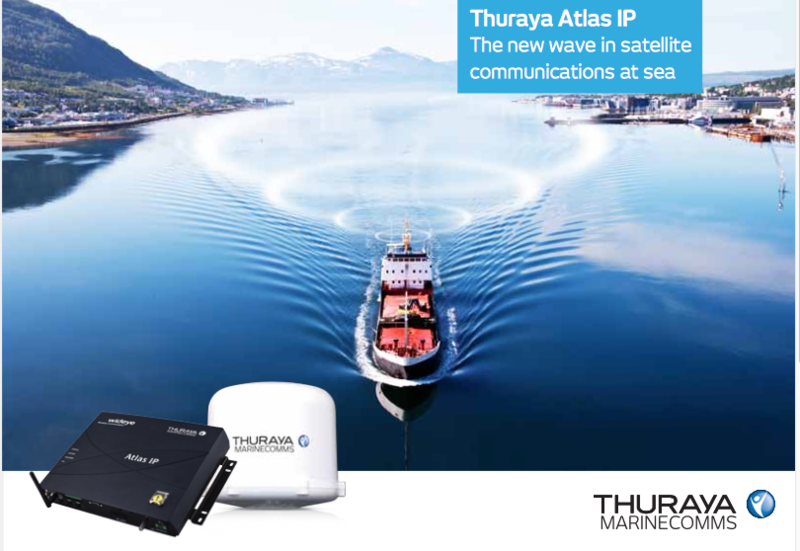 The Thuraya Atlas IP is a maritime satellite terminal that is specifically designed and manufactured for Thuraya with a specific design for Addvalue, and is the first Thuraya equipment of its kind to have received type approval from the Maritime and River Registers of Russia. GTNT is Thuraya’s distribution partner in Russia. The Thuraya Atlas IP terminal is capable of standard IP data transfer at rates of up to 444kbps and asymmetric streaming capability of 16kbps-384kbps. The terminal is designed to improve operational efficiency onboard ship through Port Forwarding which automatically forwards data from shipboard equipment and devices to support M2M reporting routines. In addition to sending data to shore, land-based users can connect to the ship’s sensors remotely and receive data without the intervention of the crew. A continuous GPS output enables position reporting in NMEA 2000 format. Rashid Baba, acting Chief Commercial Officer at Thuraya said, that the Russian Far East is a strategic region for maritime business and Thuraya has now gained access to it. There’s a lot of potential for them there, with its busy ports, international trade routes, and maritime borders shared with Japan and the U.S., the area is a hotspot for shipping, fisheries, transport and offshore energy. Together with their partner GTNT, they had successful meetings with several decision-makers and got to discuss their product and service offerings, and future collaboration opportunities. They are confident that the Atlas IP can boost operational efficiency across the region’s maritime enterprise as it is developed to meet the specific complexities of nautical communications. Mikhail Kharitonov, CFO of GTNT added that they are excited to be able to promote this product in Russia and they expect the introduction of the Atlas IP terminals to commence in the next two to three months. Dr Colin Chan Kum Lok, Chairman and CEO of Addvalue remarked that they are pleased to have been able to make inroads to the Russian Far East region market now. The experience gained will help them understand this region better which they believe has an addressable market of about 2,000 vessels and they aim to expand their offering to include other products and solutions in the future.